We played 18 holes today with Marty and nine with Bunny and even in the heat, did pretty well! 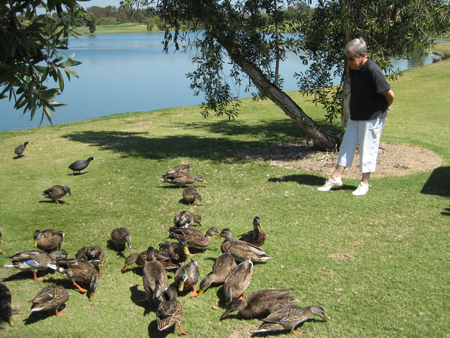 The ducks were soooooo lazy they sat in the shade of the trees and did not come out to eat so “The Duck Lady” went to them! This entry was posted in Fun and tagged Golf, Old Ranch. Bookmark the permalink.